The exterior restoration of our gallery is done! 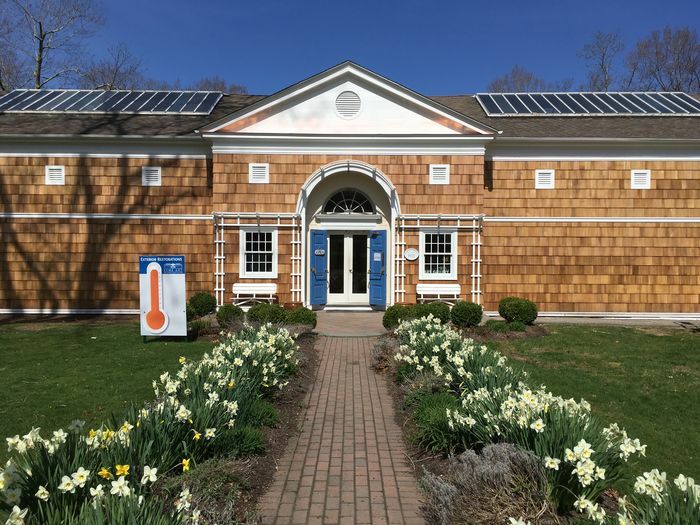 Thanks to generous Second Century Capital Campaign donors, all the old shingles and woodwork have been replaced, the front walkway has been regraded and replaced with a nice, smooth, gradual slope, the “storage area” under the Goodman gallery has been enclosed, and new exterior lighting around the building has been installed! This vital restoration work began in the fall of 2017 and was completed in the summer of 2018. Our wonderful donors helped us exceed our $364,000 campaign goal. 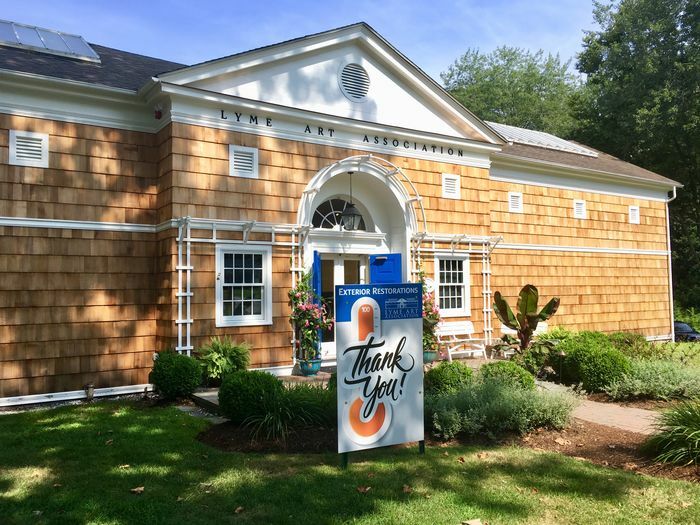 Outstanding Campaign pledges, when received, will be invested in our endowment to support future building restoration projects, in this multi-phased campaign. Did you see the great coverage that the Restoration Project got in The Day on Saturday, March 17? If you didn't, click this link to read. The Second Century Capital Campaign donors funded this work, securing the integrity of our wonderful, Charles Platt-designed gallery building. This historic, major restoration project was completed in the summer 2018. 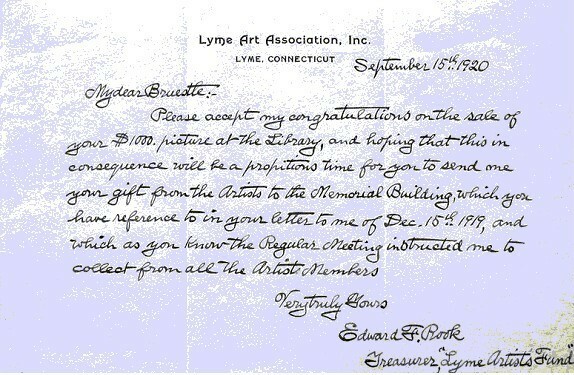 A fundraising letter from the Lyme Art Association’s very first capital campaign.